Happy Making: Marvel-lous wall | Exciting Adventures of an ex-Archaeologist, soon to be Teacher! So, for reasons I won’t go into and which can probably be guessed at (given I voted in Scotland and am a mummy and a lady and an employee amongst other things) the last few days have not been full of the happy. Many of my friends in real life and twitter feel much the same way, and there have been many requests for “some happy things to distract me” and the like. 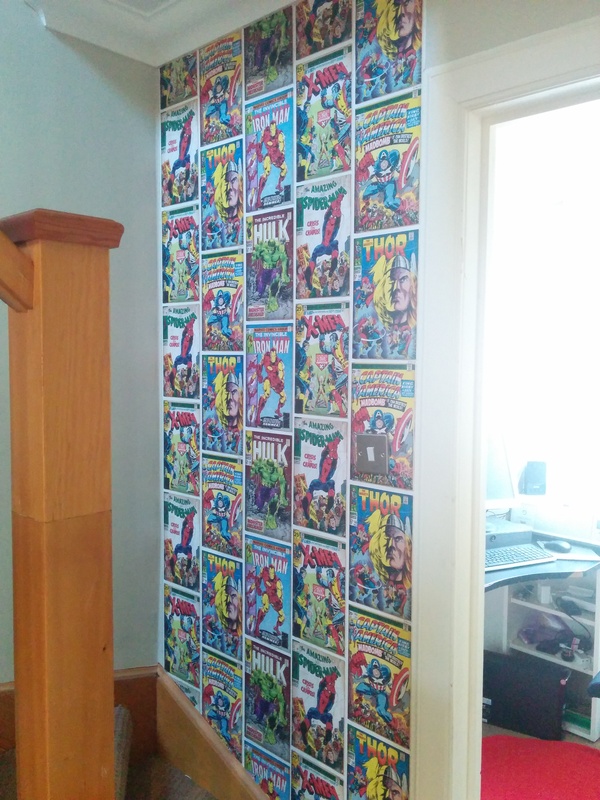 Marvel wallpaper is from Graham and Brown but bought on sale at the Range and the Link wall art is from thinkgeek. 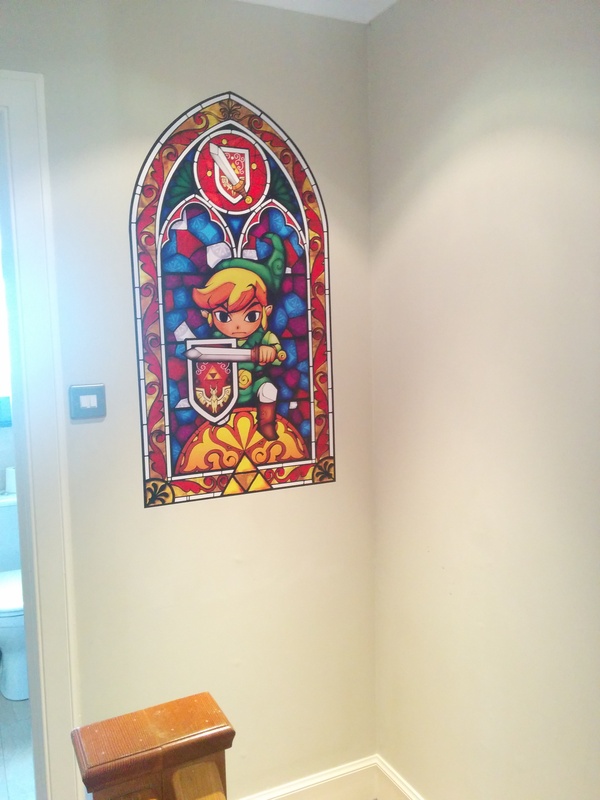 We are quite happy with them, so hopefully they cheer you up a bit too!